A USDA inspector is always on site at the Processing Plant to ensure that all meat is inspected and processed according to stringent federal (FDA) standards. Below are typical approximations are based on “typical” cuts & yields and will definitely vary based on customer cut specifications. 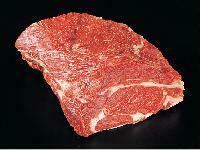 Size Cut Yield Per 1/4 Beef.Pkg. Natural, Ranch Raised Beef, No chemicals, implants or growth hormones. "Rinse & Chill™", reduces cholesterol and offers multiple other health benefits. Born & Raised in the USA ! Processing, cutting & packaging costs are INCLUDED in the price. Local Colorado delivery (50 mile radius of 80104) is at "No Additional Charge" Out of area - Shipping and Handling will be added to the price shown below, at actual cost. We invite and encourage Specialty Meat Resellers, Restaurants and all volume beef users to discuss pricing and availability. Orders are filled and priced based on Hot Weight in 1/4's, 1/2's or whole beef. Other options are available based on individual requirements. Please send us an e-mail for information on processing schedule. Copyright © 2001 Beef Direct 2 U All Rights Reserved.